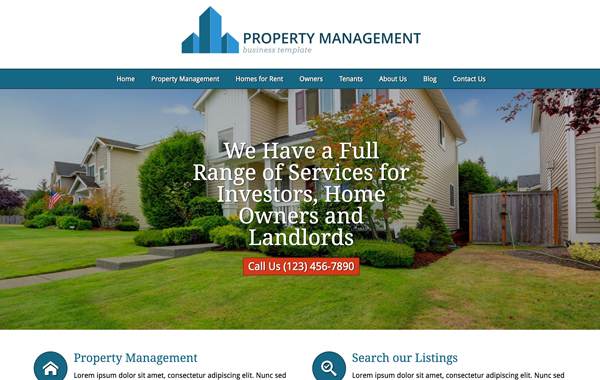 Our top-seller in the real-estate section, the Real Estate WordPress Theme has been the gateway for starting and veteran property managers and real estate agents alike to obtain a professional site. Now it's your turn. 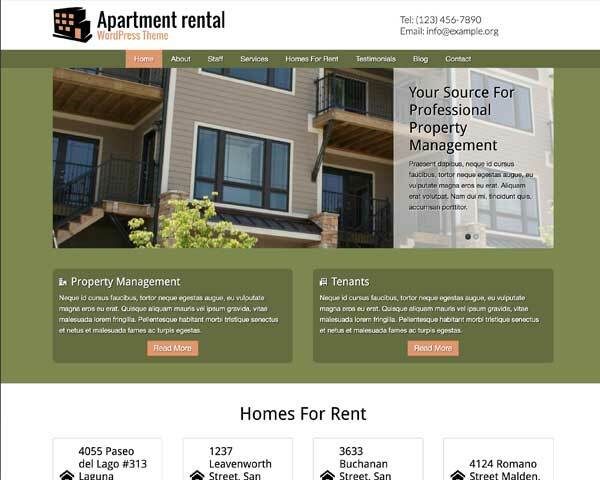 The Real Estate WordPress Theme has been one of our top-selling themes since we published it on our site. 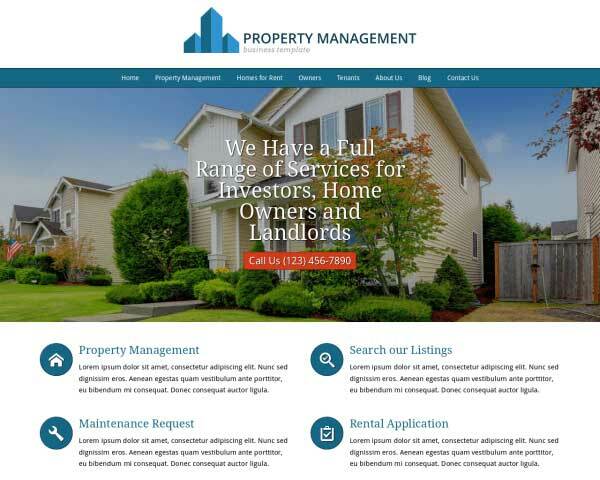 It's a very robust solution for professional property managers and real estate agents to build a website. With features such as a maintenance request and rental application form, listing overview and listing detail pages, pages for tenants, owners and documentation, it just doesn't get any more business specific. 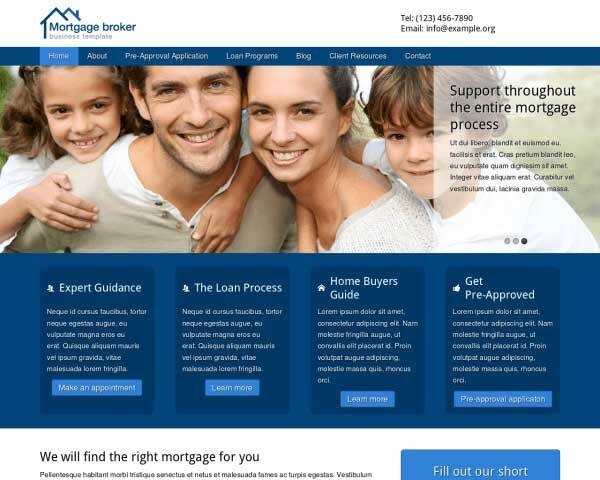 Combined with a state-of-the art page builder, a beautiful website is within your grasp. 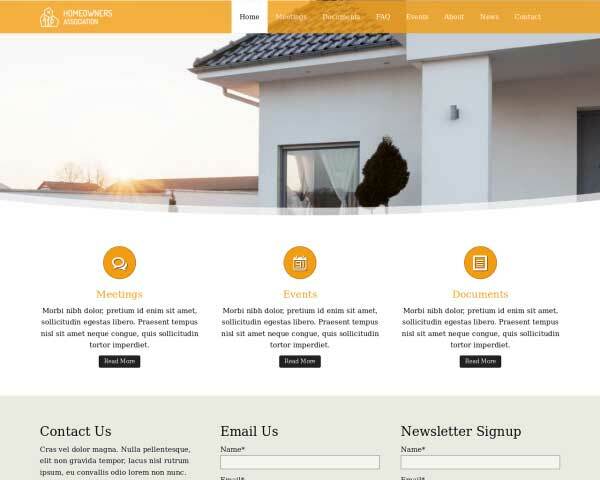 Obviously it goes without saying that this theme is fully compatible with the latest version of WordPress. And, if you want to go for the ultimate in convenience, you can get the exact same site as the demo if you go for the extremely affordable "theme and hosting" package. 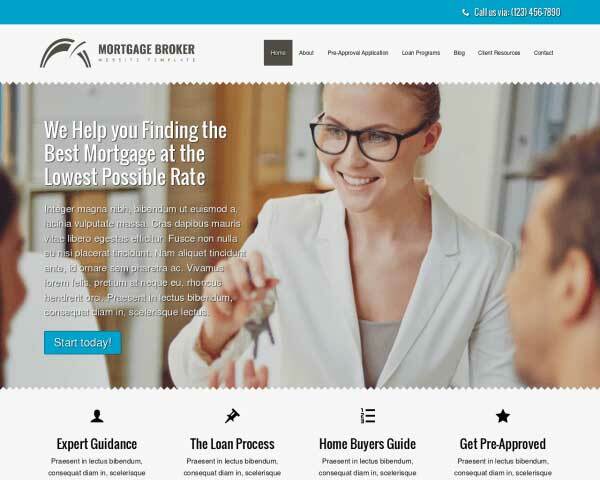 The Real Estate WordPress Theme makes it incredibly easy to share the right information, and help new clients get into contact with you. Inviting them for a free inquiry. 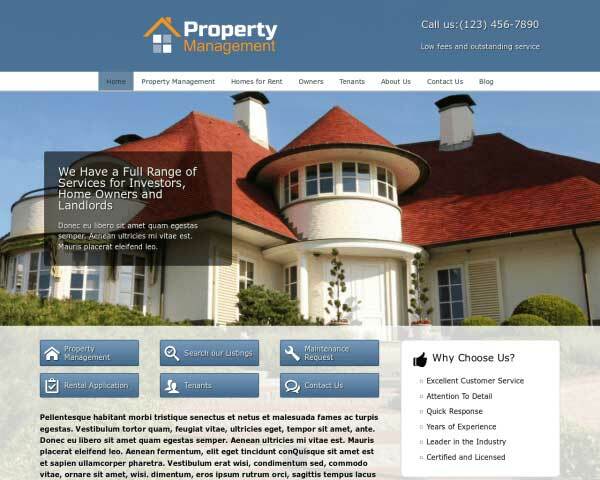 The properties you manage are shown on a clear overview page. With new listings being automatically added to the overview when placed in the right category. Each listing has their own page. Quickly create new listings by cloning them and adding galleries, property features and other relevant information you want to share. Showcase your trustworthiness as a professional property manager by adding testimonials and trust icons anywhere you like, how you like it. A fully-fledged Maintenance Request Form is integrated in the theme. Form items can be changed, added or deleted to create the form you want. 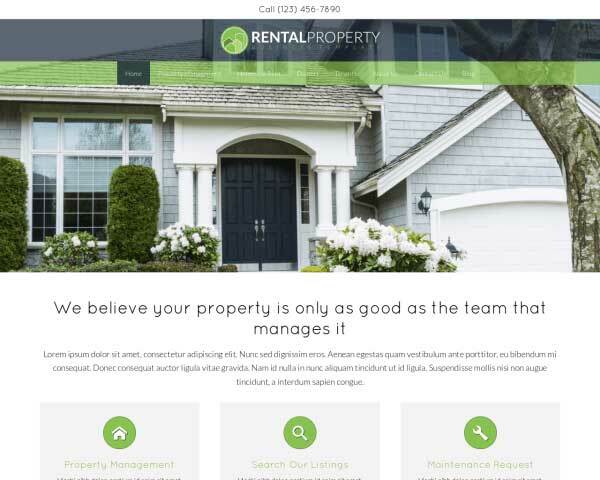 Clients can provide you with the information to add new listings to your site with the included Rental Application Form. This form can also be changed as you see fit. You and your team deserve a spot on the site. 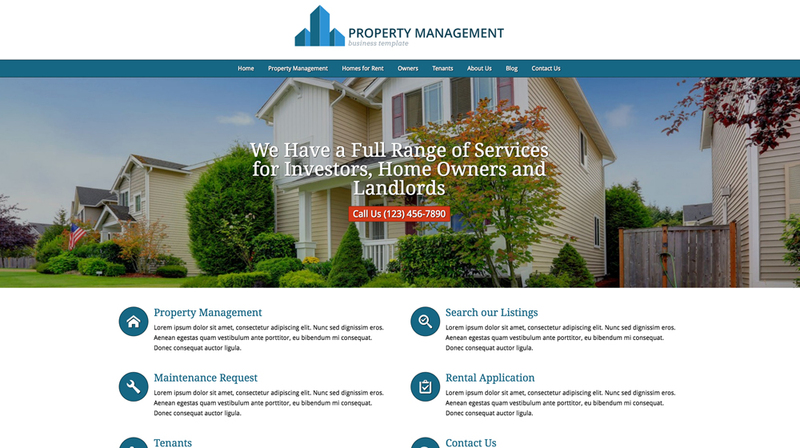 With a dedicated team overview page everybody can share their business philosophy and passion about property management. Tips, news items and other noteworthy information can be shared with the help of the blog section. Still a great way to get your online marketing going and improve your search rankings. No website can do without a contact section. 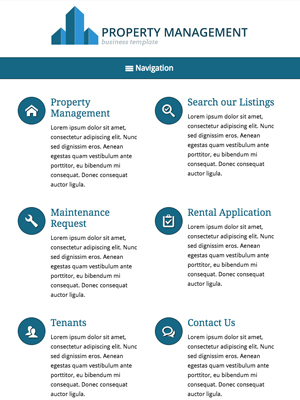 The Real Estate WordPress Theme is no exception. Hence we've added one with space for some added text and an integrated Google Map. Wouldn't it be nice if your prospects can see your site whenever they want. Even when they're outside. You're in the property management business so it isn't such a strange idea that people might want to look up that listing address while on the road. No worries. They can, because no matter what device is being used to view your site, it'll show perfectly. That means that you can convey your expertise and professionalism all the time, everytime.